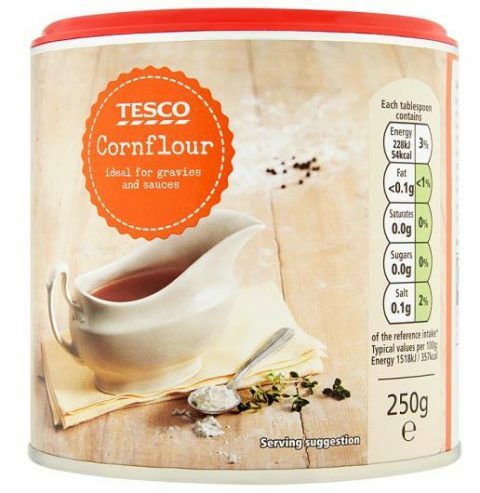 Cornflour or cornstarch as it’s known in the USA can be used as an alternative to icing sugar for rolling out your icing, fondant or sugarpaste, however, for best results only use it on light or pastel colours. Cornflour/cornstarch should not be used for rolling out dark coloured icing fondant or sugarpaste such as red, black, blue etc, this is because the cornflour/cornstarch does not absorb into the icing and will leave a dusty residue that will not come off and ultimately may ruin your final design. Warning: Do not use cornflour to dust your work surface when you are rolling out marzipan, this is because it reacts with the cornflour and will make a horrible mess, as a rule of thumb for Marzipan always dust your work surface with icing sugar.